One of the most common questions we get asked is, “Do you accept my insurance?” While insurance can be a key piece of making a switch to a new dentist, what should be the most important factor when selecting the new dentist is not whether or not they accept your insurance, but the quality of care you will get. While it’s easy to go to a new dentist recommended by your insurance, it’s not as easy to predict the quality of care the new dentist will provide. You want a dentist who will take the time to get to know you and your family. You want a dentist who understands what your problem is and will take the time to develop a personalized treatment plan based on your condition. You want a dentist where you’re more than just a number to them. At Dr. Q Dental, we strive each and every day to provide the most comprehensive and compassionate care to each one of our patients. We focus on providing quality care, not how quickly we can fill the appointments in our office. At Dr. Q Dental, you are so much more than just a number. From the moment you walk into our office, you will be greeted with a smile and welcomed as a member of our own family. During your appointment, you will have every opportunity to ask questions about your treatment so you understand what is happening. Even if you don’t ask questions, Dr. Q will inform you of what is happening so you are crystal clear on the service provided to you. As an active member of the American Dental Association and California Dental Association, Dr. Q is dedicated to researching and finding the best technologies and treatments for her patients. This dedication saves our patients valuable time and money while giving them excellent oral health! So, while having an in-network dentist may be easiest, it may not always be the best choice for you and your family. For those who need to use their insurance with us, we accept all PPO insurance plans. If you do not have a PPO insurance plan, don’t worry! That does not mean you cannot become a patient at Dr. Q Dental. We are also happy to offer financing plans through CareCredit. They make the process extremely easy and if you want the utmost in quality care and don’t have a PPO plan, we invite you to visit CareCredit’s website and apply for financing by clicking the button below. If you don’t have a PPO plan or do not want to apply for financing, give us a call at (626) 599-9819 anyway! 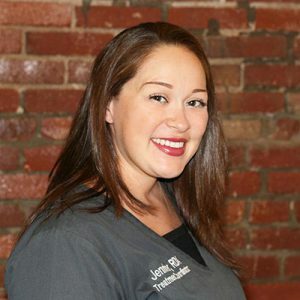 Jennifer will be happy to walk you through our pricing, see if your insurance can be used and develop a plan just for you!